To view more information please click on book cover. Threading a Dream is a journey in prose and verse to southernmost Egypt, that 'Black Land' where the dead were known as 'Westerners'. In 1979, the Greenings went to live in Aswan for two years. Newly married, childless, ready for adventure, they were prepared (with a smattering of colloquial Arabic) to thread the country’s mysteries, its contradictions, troubles, and delights, its sights and synchronicities. It was an extraordinary place, a unique time, and as this memoir describes, it was where the poet began to find a voice. The story of Threading a Dream picks up several unexpected threads. Some are uncanny, even mystical, and more than a few are political, but in the end this is a memoir is about one English writer’s personal Arab Spring. The memoir features illustrations by Rosie Greening. 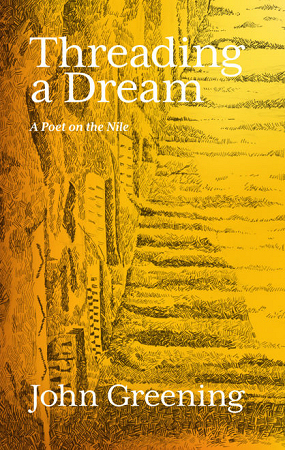 Threading a Dream is available from Gatehouse Press at the link below, £10. 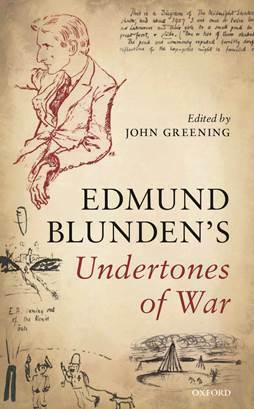 Edmund Blunden (1896-1974) was one of the youngest of the war poets, enlisting straight from school to find himself in some of the Western Front’s most notorious hot-spots. His prose memoir, written in a rich, allusive vein, full of anecdote and human interest, is unique for its quiet authority and for the potency of its dream-like narrative. Once we accept the archaic conventions and catch the tone – which can be by turns horrifying or hilarious – Undertones of War gradually reveals itself as a masterpiece. It is clear why it has remained in print since it first appeared in 1928. This new edition not only offers the original unrevised version of the prose narrative, written at white heat when Blunden was teaching in Japan and had no access to his notes, but provides a great deal of supplementary material never before gathered together. Blunden’s ‘Preliminary’ expresses the lifelong compulsion he felt ‘to go over the ground again’ and for half a century he prepared new prefaces, added annotations. All those prefaces and a wide selection of his commentaries are included here – marginalia from friends’ first editions, remarks in letters, extracts from later essays and a substantial part of his war diary. 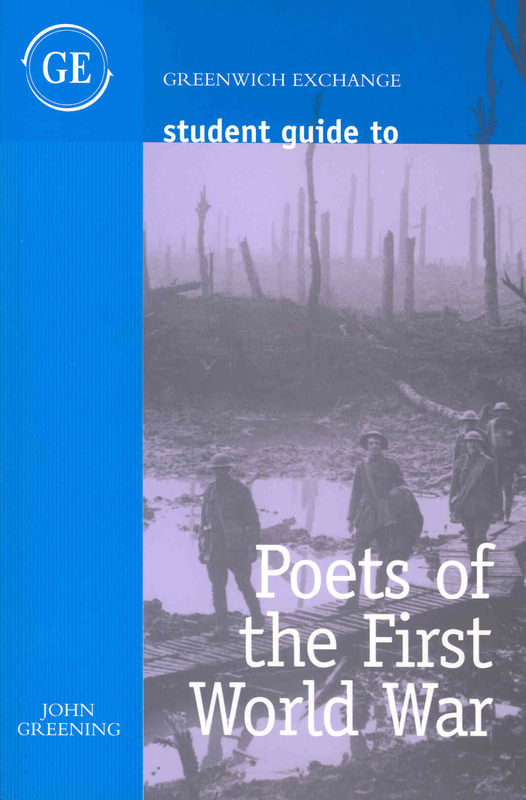 John Greening has provided a scholarly introduction discussing the bibliographical and historical background, and brings his poet’s eye to a much expanded (and more representative) selection of Blunden’s war poetry. For the first time we can see the poet Blunden as the major figure he was. For the first time, too, Undertones has an index and the chapters are given clear headings, events placed within the chronology of the war. Blunden had always hoped for a properly illustrated edition of the work, and kept a folder full of possible pictures. The editor, with the Blunden family’s help, has selected some of the best of them . 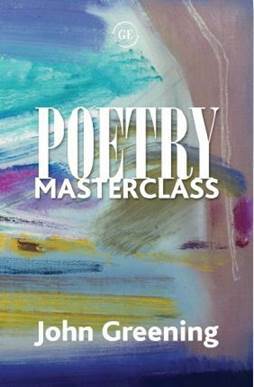 Poetry Masterclass is more than just a reference book, although you will find here an extensive glossary of technical terms and verse forms, together with book recommendations and even a brief history of poetry in English. 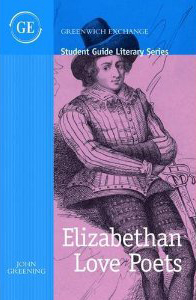 It is also a supremely practical handbook, including well over a hundred creative writing ideas for teachers, students and fledgling poets, with chapters on how to teach a poem, read a poem, write a poem ... Above all, this is a very personal guide by an experienced teacher and established poet: a practitioner offering personal, hands-on advice and demonstrations of technique, much as a performer might during a musical masterclass. This new book examines some of the neglected poets of the late sixteenth century, alongside work by Shakespeare, Donne, Jonson and others. Each chapter concentrates on one characteristic love poem. 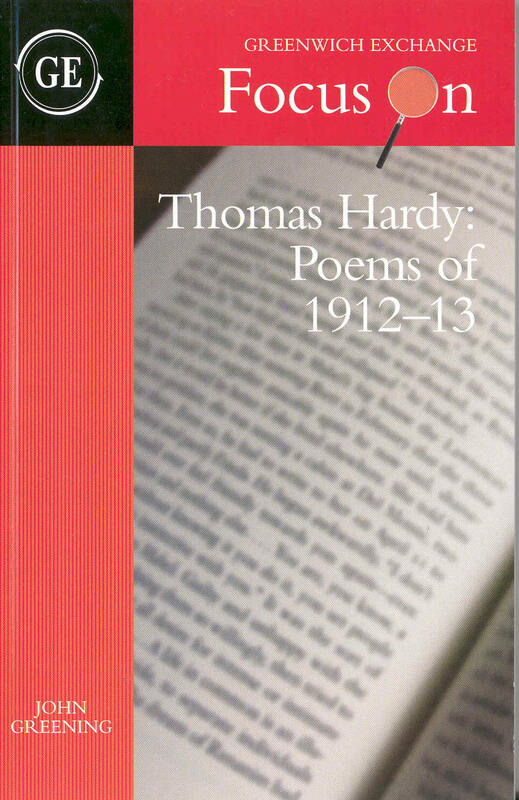 This brief study of key poems by Thomas includes analysis of well known poems such as 'Adlestrop', together with biographical information. This is a very useful little book on the poetry of Edward Thomas ... Not only does John Greening take us back to the text itself through his careful and sensitive reading of individual poems but also he points to interesting general issues that haunt much of Thomas's poetry.' Ian Brinton, The Use of English. This new ‘Focus’ study from Greenwich Exchange concentrates on the poems Hardy wrote in memory of his first wife – the ‘Emma’ poems. Greening highlights the distinctive music of this twenty-one poem ‘suite’, while exploring the sexual and spiritual tensions concealed within Hardy’s Dorsetshire and North Cornish landscapes. This new study, written from a poet’s perspective, highlights what is so original and enduring in Yeats’ craftsmanship. The distinguished Australian poet Alan Gould called it a ‘readable and useful introduction’ which ‘succeeds in renewing interest in this extraordinary poet’ (Quadrant, www.quadrant.org.au ). 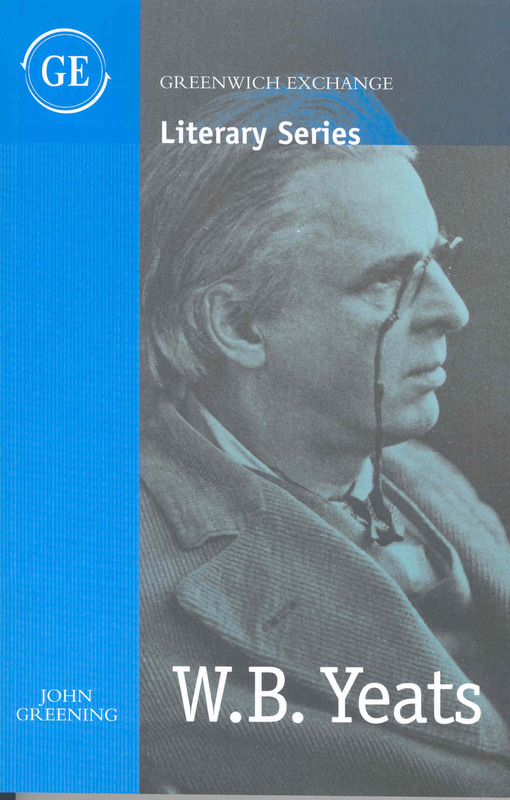 W.B.Yeats follows the success of John Greening’s Greenwich guide to the Poets of the First World War. Next year Eyewear Publishing (http://www.eyewearpublishing.com/) will be bringing out Vapour Trails, a selection of John Greening’s reviews and essays in their Literary Criticism series. Welsh Review) and articles in Poetry Wales and New Welsh Review. Pleasure Trips, short story included in PEN Anthology edited by Peter Ackroyd. Originally in New Edinburgh Review. Hayden Carruth wrote of his friend, the poet, peace campaigner and Christian Denise Levertov that she ‘keeps her mind on the reality of imaginative process. She rarely veers into mystical utterance for its own sake’. Carruth considers himself a very down-to-earth poet, suspicious of the vatic or prophetic. He is sometimes pigeon-holed as a nature poet, which he does not like either, although he conveys the strongest sense of the real outdoors of any American poet since Frost, from whom his anecdotal pentameter monologues (‘Regarding Chainsaws’, ‘Marvin McCabe’, ‘John Dryden’ etc.) ultimately derive. Carruth detests the ‘lovelessness, arrogance, and egomania’, the ‘flight from reality’ Thoreau’s kind of nature writing has encouraged, and (in the opening pages of his recent autobiographical notes, Reluctantly), makes a tub-thumping case for honest clear-sightedness, for the avoidance of anthropomorphism and sentimentality. Creation is sad, pointless, ‘without end or reason’. There is nothing ‘Transcendental’ in his view of it. He sees only ‘the absence of intelligence’ and feels like ‘a duck blown out to sea and still squawking’. The curb box, making a pretty fair geyser. Scared? Not me, I’d just had too many strawberries. There is a 1989 cycle of (mainly) love sonnets, where an atrocity in Lebanon suddenly appears (sonnet 57). The very fine Asphalt Georgics (1985), too, allows war to become an issue quite late on, when we least expect it (‘Phone’). These Georgics are a brilliant exercise in register, a series of unstoppable, all-inclusive abcb quatrains, ‘Cantos’ that stay on the road and respect other drivers. Carruth’s interest in jazz surely pays off in some of this later work. Apart from such catch-all forms, the discursive ‘essay’ perhaps suits him best: on marriage, on the deaths of animals, on stone... Everything must be studied and considered, even if ‘the green world shrivels like a napalm scab’. As his friend Galway Kinnell writes in the foreword to his 1985 Selected, Carruth ‘violates the first principle of contemporary poetry...’Don’t think’’. He might have added ‘about your audience’, because Carruth always does consider us: we feel we are sharing a conversation with him. In later poems it may be about walking, gardening, reading, making love, eating scrambled eggs, listening to music, getting drunk or being (and why not!) plain grumpy. At the invitation of its editor, Jane Potter, John Greening is currently preparing a chapter on Siegfried Sassoon and Edmund Blunden for Cambridge University Press's History of World War One Poetry.